A browse through a timeline for Olds College reveals some of the problems its students have been engaged in solving over the institution’s 106-year history. Grasshoppers. Weeds. Soil depletion. Pretty standard issues for the agricultural industry. But now students and faculty at the storied school in central Alberta — which began its life as the Olds School of Agriculture and Home Economics in 1913 — are tackling a new set of challenges and opportunities facing today’s farmers and the wider industry: Internet connectivity, big data, and discerning whether investing huge amounts of money on technology such as artificial intelligence and drones will actually improve the productivity, profitability and sustainability of agriculture. “This is where our industry is at … and it’s coming fast and hard,” says Stuart Cullum, president of Olds College. 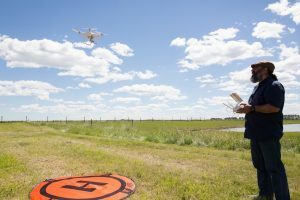 This foresight is why Olds College is diving deep into smart ag and ag-tech initiatives; perhaps the crown jewel in its plan is its 120-acre Smart Farm, which launched last year and is now up and running on the grounds. “We’re going to be pulling in all the latest technology that we can get our hands on to evaluate it,” says Art Froehlich, an ag industry stalwart recently appointed Thought Leader in Smart Agriculture at the college. Froehlich, who’s been in the industry 45 years, describes his role as bringing together industry leaders – including members of the public sector, business and industry – to contribute their thoughts and ideas to the table. 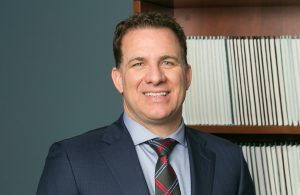 “My job is to make sure we don’t leave any stone unturned,” says Froehlich, adding more than 40 people have already signed on to be part of the strategic advisory committee he’s leading. Such technology and ideas include satellites, drones, sensors, weather stations – and AI. “AI isn’t the biggest part of what we’re looking at, but it’s a very significant part,” said Froehlich. The Smart Farm will also show what the industry could accomplish with full, reliable Internet connectivity, something Froehlich says large swathes of rural Western Canada still have to do without. Big data increasingly being generated on farms is another big challenge for the industry. Right now, about 500 students in various Olds College programs are engaging with the Smart Farm. In the first season, students tried out several new technologies on the Smart Farm’s 110-acre crop of canola. They included a special “mesh” network that provided WiFi across the entire farm, Soil Information System (SIS) testing that gave them a baseline of 83 soil attributes, and three digital weather stations, said Jason Bradley, director of Smart Ag for the college. The Smart Farm also features artificial intelligence neural networks – a set of algorithms loosely based on the human brain – to figure out the differences between healthy and unhealthy plants, and to find out the causes of deteriorating plant health. The AI, or machine learning, technology uses a special camera and can detect problems in real time, rather than waiting for lab test results. Supporting the farm is the Smart Ag Innovation Centre, a technology hub for analyzing data and planning future growing seasons. The centre, housed in what used to be president’s residence, includes an investment lab where startups can hold virtual meetings with venture capitalists using tools such as Google Meet and Google Jamboard. 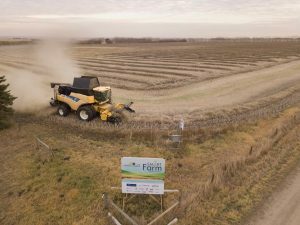 This season, the Smart Farm will expand across the full 1,800 acres that make up the Olds College farm, said Bradley, and try out different networks such as Sigfox and LoRaWAN, known as low power wide area networks. 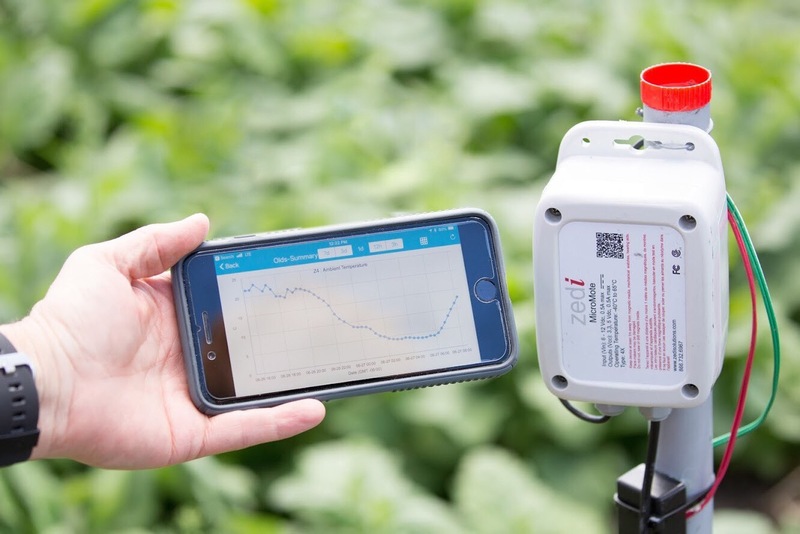 These enable connected devices to communicate over large geographical areas using less energy than traditional cellular technology, and could address the crucial problem of poor Internet connectivity on farms. “If you go out in the middle of a quarter section and you can’t get cell reception or Internet connectivity, your ability to use technology is really limited,” notes Cullum. Bradley said the college wants to invite producers and others in the industry to learn along with them, and “for folks not to be daunted by it. There’s a lot of resources out there and we’re one of them. With that goal in mind, Olds College is holding an AgSmart show Aug. 13th and 14th focused on data and tech. The need for students to gain expertise is a big part of what drives James Benkie, dean of program development in agriculture technology, as he works to develop three new academic programs in the ag-tech field. The first, a post-diploma certificate in agriculture technology integration, has just been approved by the provincial government and will begin accepting applications this October, with its first cohort of 30 students starting in September 2020. The college is also developing a diploma in precision agriculture and a bachelor’s degree program in the field, although both of those credentials are still in the proposal phase. Ag graduates of the future need to have the agility to thrive in this new landscape – to emerge as AI specialists and IT specialists as well as people who know how to raise cattle and grow crops. Farmers, while a pragmatic and skeptical lot, have historically been the quickest group in Canada to adopt new technology, says Froehlich – noting it’s difficult now to imagine a farming operation now without GPS or plant-protection technology. Smart ag, says Cullum, is really about producing more while using less – using technology and science to increase productivity while reducing the use of inputs such as water and chemicals. The Smart Farm might be on the cutting edge of new technology, but it fits right into the mandate Olds College has held since its inception. “We started as a demonstration farm, a place where things could be tried, tested and demonstrated,” said Cullum. “Fast forward 100 years and we still need to be a demonstration farm for how technology is applied. Olds College has a fundamental role to play with the talent needed to support that and create the environment needed to support the industry in that way. Eliza Barlow is a freelance writer who works for Taproot Edmonton, Avenue Edmonton, EnergyExchange, Journal of Commerce, techlife, BioZine and New Trail.